This high performance ignition module provides your plugs with more spark over the stock module. The solid state electronics provide high coil out put and superior reliability. The Dwell control circuit ensures, long consistent coil charging. The current control circuit protects against coil over heating. 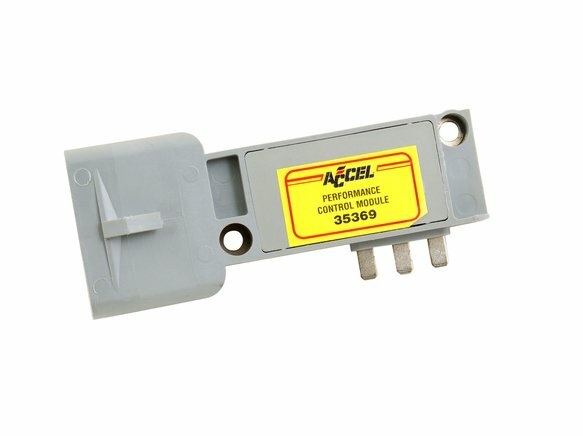 This module fits most Ford Thick Film Ignition systems. 1984 thru 1993.